On my mind, this morning? 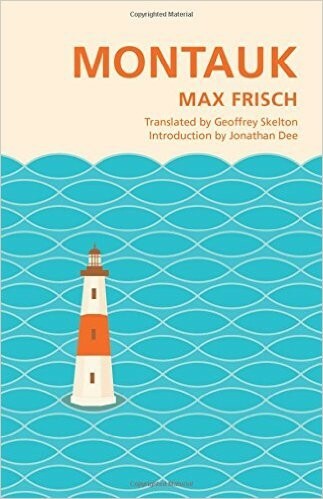 Last night’s irritation: I had walked into McNally Jackson, my last (not least) favorite Manhattan bookshop, to browse new books & came upon Max Frisch’s Montauk (which I had reread twice in the last 6 months for a project I had been working on). Somewhat surprised that it had been reissued, I picked it up to see if their was any pressing reason for this. Well, there is a new introduction by novelist Jonathan Dee, so I casually started reading it. I never got to Dee’s explanation of why it was thought useful to reissue this book now, if he actually gave one, as only a couple pages into the intro I came across a serious blunder: Dee explains that Frisch’s book, besides the love affair with his US publisher’s young publicity assistant, is a rumination on, among others, Frisch’s recent horribly failed affair with Ingeborg Bachmann — whom he calls “the Swedish poet.” Bachmann was of course Austrian, and, as anyone even half-educated in European literature knows, the major Austrian writer of the post-WW2 decades. Dee — notorious mainly as the gofer for George Plimpton at the Paris Review — will no doubt know of Thomas Bernhard and possibly Peter Handke. But Bachmann? A woman poet — & thus clearly interesting only as the ex-girlfriend of the Swiss male novelist, so no need to even fact-check who she is. And yet, Bachmann (who stopped writing poetry after her first two volumes were published) left us a major prose ensemble (the Todesarten project, including the novel Malina) highly admired by the likes of Thomas Bernhard, that surpasses Frisch's staid, traditional, irony-clad middle of the road prose-works by a mile.I closed the book, put it back on the shelf & walked away. Such sloppiness, such ignorance! Even a high-schooler with wikipedia could have fact-checked this — and the publisher (Tin House Books) should certainly have done so.